Can Janasena, YCP Counter Naidu's Sops? Chandrababu Naidu's Sops Impact on Janasena, YCP? All of a sudden, AP CM Chandrababu Naidu turned out to be too generous announcing innumerable sops to almost all sections of people. Of course, opposition parties are writing off those sops as election stunts by TDP. Though the sops appear to be mind boggling, every sop can be countered by opposition parties like Janasena and YSRCP. Checkout CBN's aggressive schemes and oppositions counter to them. * 5% RESERVATIONS TO KAPUS: In fact, Kapus feel it as a dangerous decision from TDP government. Kapus felt they could have availed upto 8% from 10% EBC reservations based on the population ratio of economically weaker Kapus and the economically weaker other castes. As TDP got Kapu EBC reservations confined to 5%, Kapus lost 3% reservations in the least case. * 20% IR TO EMPLOYEES: It was 27% in 2014. Moreover, IR was delayed by a year so far. Also, it's heard that it would be implemented from June. This delay has irked employees to the core. * Rs.10000 CASH UNDER PASUPU KUNKUMA FOR DWCRA MEMBERS: AP government has decided to offer Rs.10000 cash to DWCRA members through three cheques in three spells. This clearly appears like buying every vote with Rs.10000 cash.DWCRA members haven't got benefited with CBN's schemes for the past five years. As such, most of them may understand, this benefit could purely be temporary. 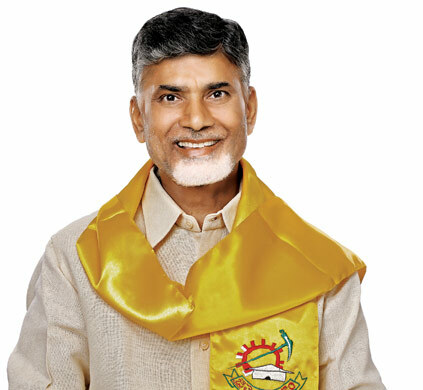 BOTTOM-LINE: Fear of defeat makes Naidu announcing financial benefits to many sections of people. Though his ploy is made out by most of the people, Janasena and YSRCP should be cautious with those sops as some of the people will definitely get influenced by CBN's all of a sudden welfare programmes and schemes.